Perfect for golfers, sun bathers and nature lovers looking for peace and quiet! 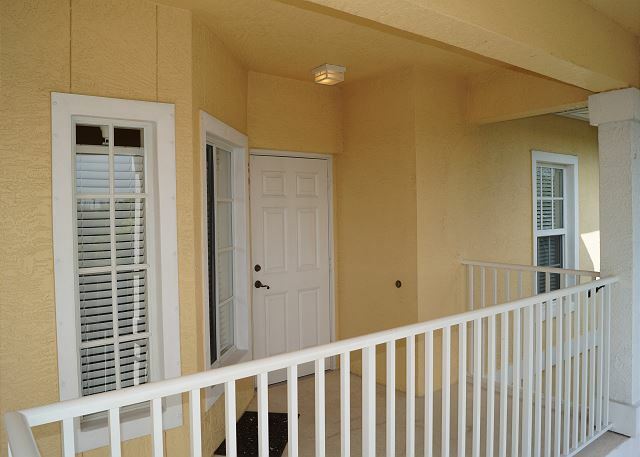 This 3rd floor condo is light and bright with vaulted ceilings and tropical Florida style decor. The lanai overlooks the lushly landscaped pool and outdoor recreation area set amidst a quiet wooded preserve with chickee huts and BBQ grills. 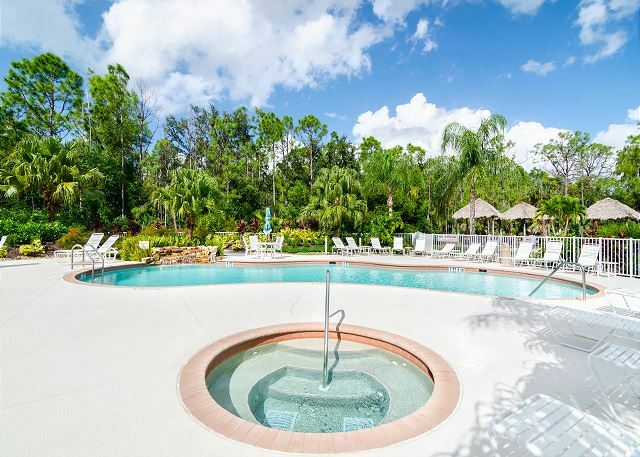 The pool area has a beautiful waterfall and a hot tub for soaking and enjoying the fresh Florida air. The unit comes tech-equipped with a 60" Panasonic Smart TV in the living room, 32" Samsung Smart TV in the guest room and 26" LCD TV with DVD player in the master. 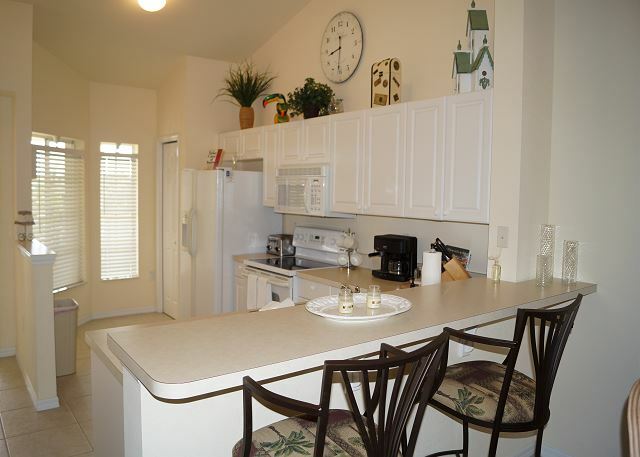 The WiFi is as high speed as it gets and the kitchen is fully equipped with everything needed to cook and serve meals. 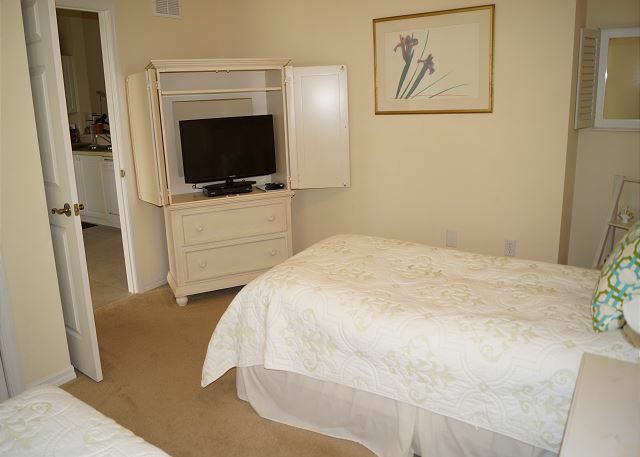 As a 3rd floor end unit, the condo has vaulted ceilings and is very light and quiet. The building has an elevator so climbing stairs is not required and plenty of open parking is available right outside the building. 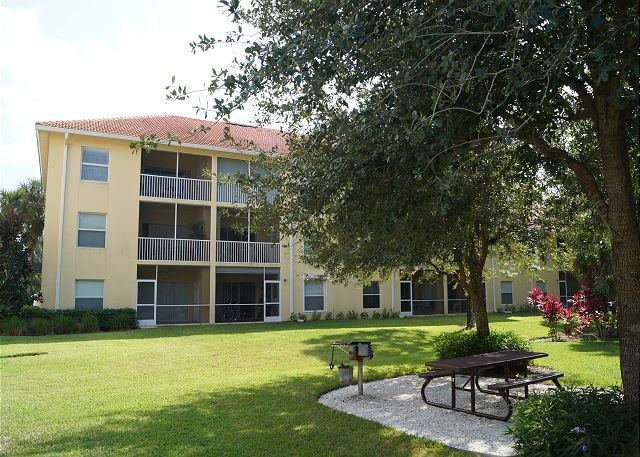 Located in Lely Resort, halfway between Naples and Marco Island, Coral Falls is walking distance to Starbucks and plentiful restaurants and convenient shopping along "Restaurant Row" and in the Freedom Square shopping center (located at the corner of Tamiami Trail and Collier Blvd). Golf at Lely Resort's two championship courses is just a few minutes away. Marco Island's pristine white sand beaches are about a 15 minute drive South. Olde Naples and the 5th Avenue South shopping and dining district as well as the beaches of Naples are 15-20 minutes West. Thank you, Henry! Hope you had a wonderful vacation in Naples. Would love to host you again in the future! It was very quiet, clean, and well-maintained. It exceeded our expectations! Thank you so much Robert! Glad you had a wonderful time in Naples. Hope to host you again in the future! excellent ! Loved the location! Beautiful condo, spacious well supplied! Thank you, Barbara! We're glad you had a wonderful vacation! Nice for the most part. Excellent for the most part. Great location. The unit was fine. Only two issues. Tv channels very limited. Too many channels required subscription. Impossible to find a movie without commercials or without a payment.Annoying and should be addressed. Also, I was not told ahead of time that we had no access to the Players Cub or somewhere to work out. Did not like that at all. These two items were unacceptable to me and prevented me from giving a five rating. Great condo. Great location. Great vacation! We stayed in this condo for a month in 2018. 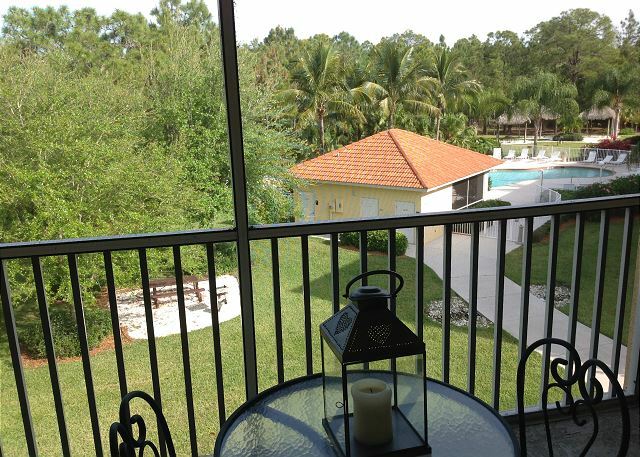 This is a wonderful, very well equipped condo that has everything you could ever want. 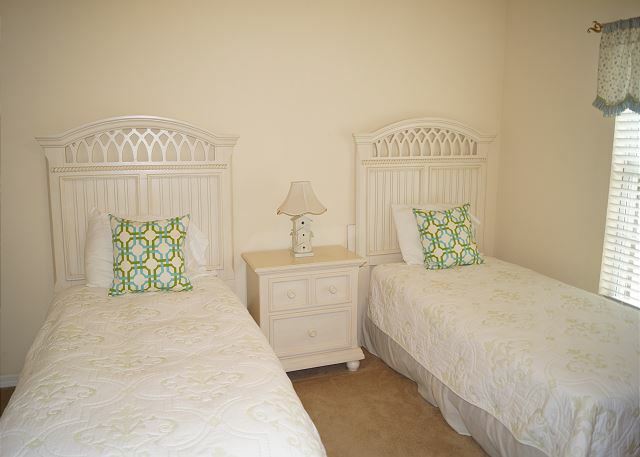 Very comfortable and great location in between Marco Island and downtown Naples. Great view of pool and preserve area from lanai. Very quiet. The only negative for us was the two wrought iron bistro chairs on the lanai. They were not comfortable for relaxing/reading on the lanai. Other than that, perfect! We have used The Holiday Life several times over the past few years and they are a great company to work with. Highly recommend! Thank you so much, Sherry! We're thrilled that you continue choosing The Holiday Life to host your vacations. See you next time! If you want a relaxing, quiet, immaculate clean accommodations, this is for you. The location was perfect. The heated pool and jacuzzi was clean and a few steps from the condo. 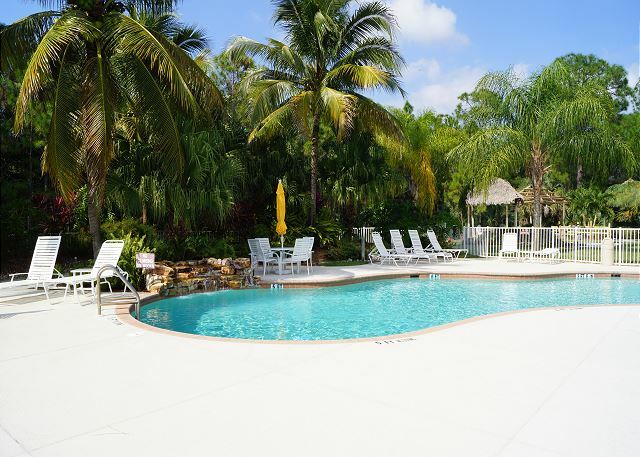 You are only 30 minutes from downtown Naples and 20 minutes from Marco Island. Perfect, perfect, perfect! Condo was very clean and well supplied. Great surroundings and good location. The condo exceeded my expectations. There were plentiful linens, games and toiletries. The pool area was clean, comfortable and quieted by a waterfall. The owner plans a kitchen renovation soon which is needed to replace a very noisy dishwasher. Great location. 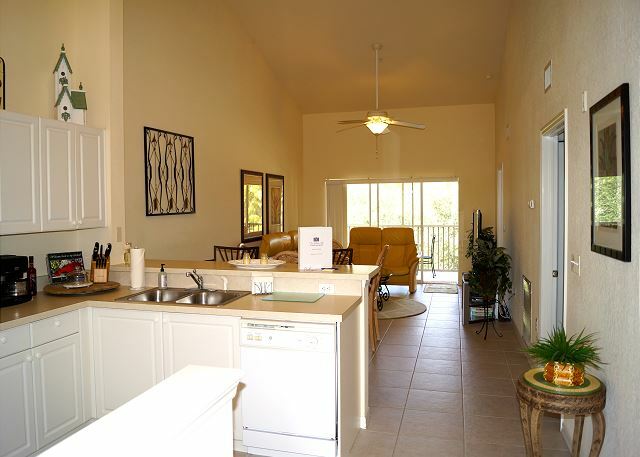 Easy access to dining, shopping and activities. The condo was clean and had everything we needed! I highly recommend for a small family. THe code was in excellent condition and very well stocked with all the necessities for a stress free week in the sunshine. The communication between the agent and me was excellent. My questions were answered promptly. The description of the property was on spot as were all of the amenities that were listed. All bath, personal,and cleaning supplies were provided and the welcoming binder gave us all of the information that we needed. The condo was lovely, spacious and very clean. The grounds were beautiful aa was the pool area. It was secluded yet close enough to everything needed. 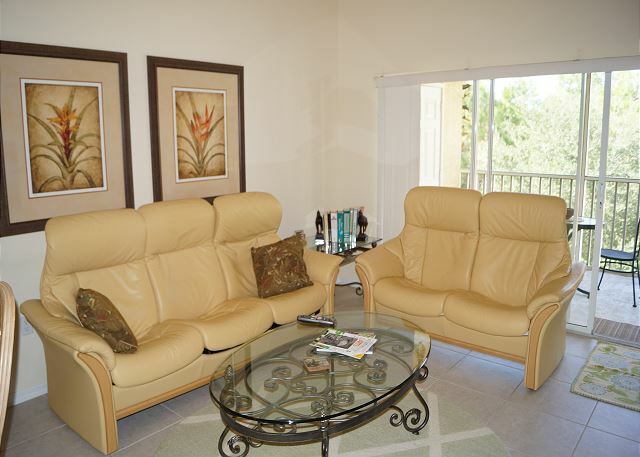 15 minutes to Marco Island and 15 minutes to 5th Avenue with the restaurants and shops that we enjoy. Close to supermarkets and major highways. I have already recommended this condo to several people along with the agency/agents I worked with.